American Top Team (ATT) head honcho Dan Lambert wants to see Amanda Nunes defend both her titles. In the co-main event of UFC 232, Nunes challenged Cris Cyborg for the UFC women’s featherweight gold. Nunes was looking to become the first female two-division champion in UFC history. “The Lioness” starched Cyborg in just 51 seconds to add the 145-pound gold to her mantle. Many have called the future of the UFC’s women’s featherweight gold into question. Megan Anderson has expressed her frustration with 145-pounders taking bouts at bantamweight. Cyborg was sidelined for many months despite being healthy. While the UFC did plan for a “super fight,” even Cyborg has been discontent with the inactivity. 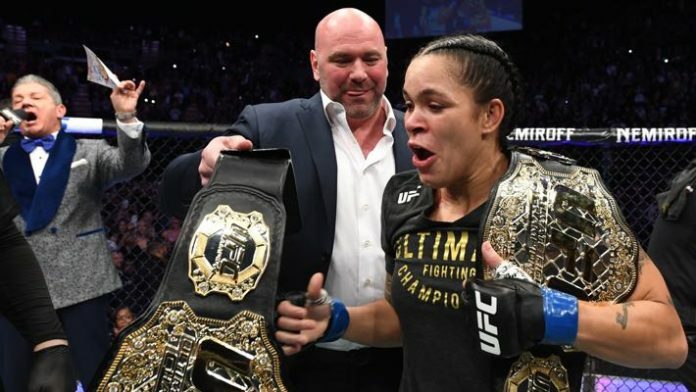 Do you think Amanda Nunes will be able to defend both her titles?